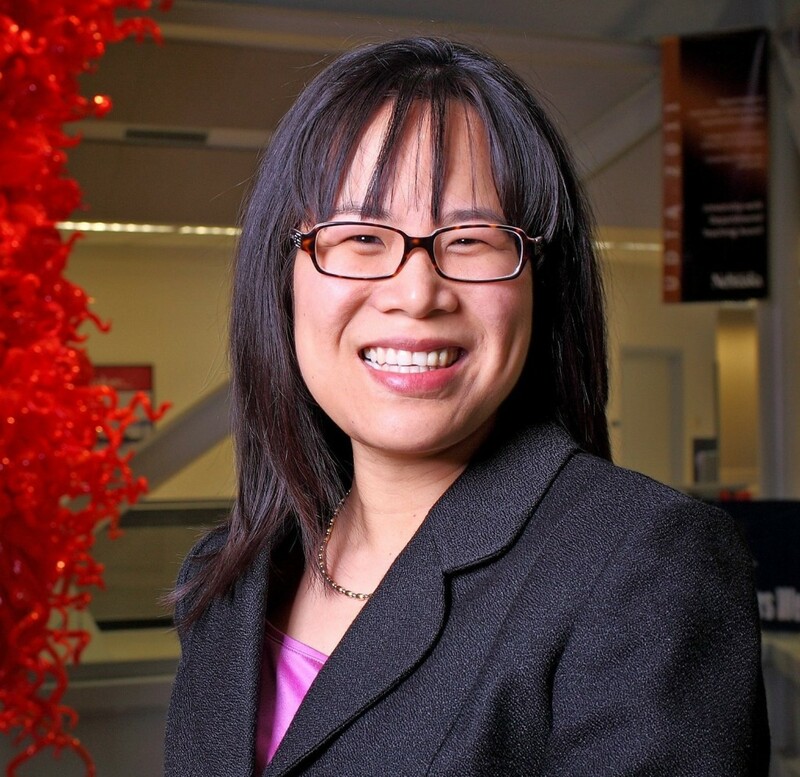 Dr. Lily Wang is a Professor of Architectural Engineering in the Durham School of Architectural Engineering and Construction and the Associate Dean for Graduate Programs and Faculty Development in the College of Engineering at the University of Nebraska, Lincoln. She received her PhD in Acoustics from Pennsylvania State University. She then worked as a research fellow in the Department of Acoustic Technology at the Technical University of Denmark before accepting a faculty position at UNL. Lily has received many awards and honors during her career, including the R. Bruce Lindsay Award, the top award given by the Acoustical Society of America to a person under 35 years of age. Lily has also been awarded a National Science Foundation CAREER Award as well as numerous awards from the University of Nebraska, Lincoln for teaching and mentorship. When she’s not in the lab, Lily loves to sing and spend some quality time playing My Little Ponies with her two young daughters. Lily is in the field of architectural acoustics, which helps us understand how sound behaves in buildings, from glamorous concert halls to everyday offices and classrooms. Throughout her whole life, Lily has enjoyed music and singing, but also had a fascination with science. Early on, she was very interested in chemistry, but in her current field, she is able to combine both science and sound! Some of Lily’s biggest struggles happened in graduate school. There weren’t a lot of people doing research in similar areas so there weren’t many people she could ask questions or brainstorm with. She also had limited access to equipment because she came with her own funding, rather than being funded by large institutions like the U.S. Navy. Lily and one of her students have had great success on a project they are working on related to how the background noise levels of a building affect how well students learn. Though she goes to many different conferences, Lily really enjoys the Concert Hall Research Group Summer Institute conferences because a small group of experts get to visit different concert halls, listen to excellent performances there together, and talk about the exciting science behind it all. Lily is a member of the eloquently named NAG (Nebraska Acoustics Group), and they host a game night at during each Acoustical Society meeting where they get together and play board games. The gathering has grown considerably over the years, and last time they had an ironic experience with hotel noise complaints against an esteemed group of acoustical scientists! Don’t let success go to your head or failure go to your heart. Also, there is a lot of hard work involved in science careers, but being passionate about what you do makes it easier to put in the hard work! Lily’s primary research interests are in room acoustics and noise control. Her recent work has focused on correlating building acoustic conditions to human perception and performance, particularly in office, classroom, and home environments. She is a Fellow of the Acoustical Society of America (ASA), a Board-Certified by the Institute of Noise Control Engineering, an ASHRAE Distinguished Lecturer, and a recipient of the ASA Hunt Postdoctoral Fellowship, ASA R. Bruce Lindsay Award, and ASHRAE Ralph G. Nevins Physiology and Human Environment Award. Recently Lily was elected as Vice-President of the ASA for the 2014-17 term.